Argent, a brand of Wilson & Gilkes, is proud to release its newest innovative product — the V50 Data Vault. Addressing the need for businesses to protect their mission critical IT equipment in office and comms room environments, the V50 Data Vault is a secure enclosure for 19-inch rack equipment. Typically a computer room or data centre is a secure facility with restricted access. Even with those access restrictions, data centres are a working environment. This can represent a security risk. Business or Government departments often use hardware in a data centre that is highly sensitive. A second tier of physical security is an advantage. The patented Argent Data Vault is a simple, cost effective security enclosure that will protect hardware devices that are installed in a server rack. 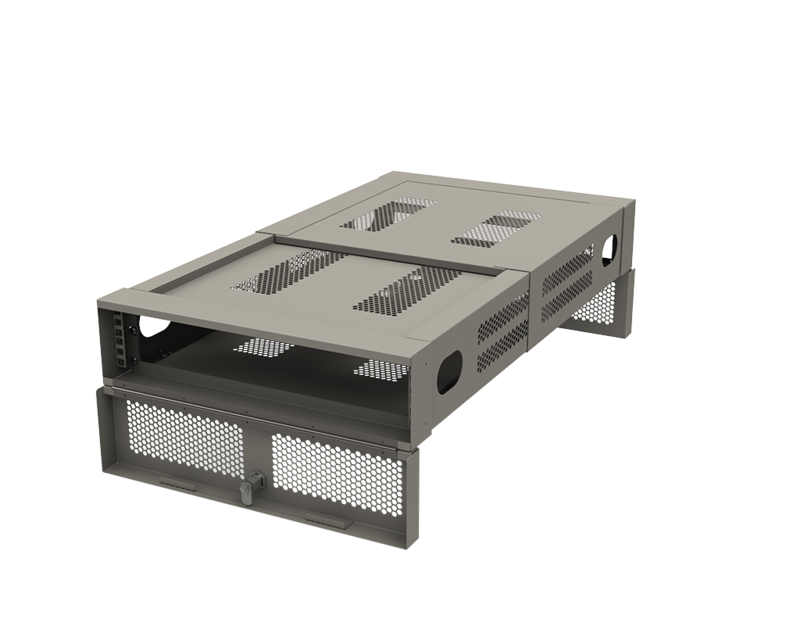 The new Argent Data Vault allows your mission critical IT devices to be physically secure when installed in a server rack for maximum security and peace of mind. Argent V50 Data Vault will protect network equipment and servers in racks that are shared by two or more businesses. The retro fit feature allows users to move into an existing shared office and IT space.